Lead Management = Incubate, Maturate, Close…..REPEAT! 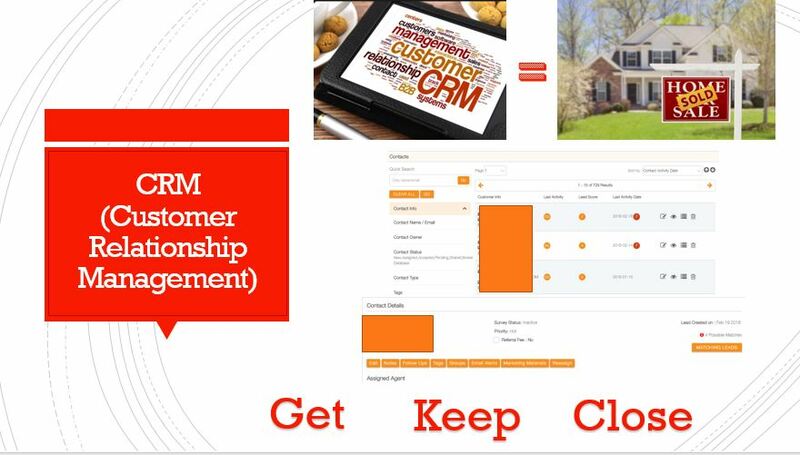 Before we can discuss CRM it is important to review the anatomy of a real estate lead. Leads are not prospects, in fact, they are not even contacts yet. Why is it then that so many people confuse leads with prospects who they wish to close for listings or sales. A sales lead is a prospective consumer of a product or service, created when an individual shows interest and provides contact information. Realty Businesses gain access to sales leads through web solutions, mobile solutions, signs, open houses, advertising, trade shows, direct mailings and other marketing efforts. A lead is unqualified contact. Once your lead expresses interest in your real estate services you then have an opportunity to convert the lead to a contact. So, a contact is someone who has expressed explicit interest in your listing or sale of real estate services or, of course, has already purchased, rented or sold a property. Qualifying is the process that allows you to find out whether a lead is actually a prospect. A prospect is someone who has the potential to become a customer/client. Leads, on the other hand, are just potential prospects. If you don’t qualify a lead, you may be wasting your time with someone who literally can’t buy from you. Throughout the past 20 plus years I have consulted with real estate brokerages of all sizes from start up to boutique to mega office firms. Lead Management and CRM has been a huge part of my consulting gigs because I firmly believe if you know the sales cycle, you will recognize the true lead maturation time table. I begin the discovery process with a call activity. The following bullets will help you determine readiness level and give your agents a wakeup call to the importance of a great Customer Relationship Management System. “(buyer or seller) this is Elaine Gilleo from ABC Realty. Does my name ring a bell (sound familiar).” If no or not really, remind them that they visited an open house, website, sign call, etc. visitor. 25% were not and still may not be qualified to buy or sell. 35-36% bought from a competitor (or even someone else in the office) because you were not there when they needed you. Most of the time it is because they were not ready when you first got the lead. Did you know that internet leads are somewhere between 9 and 18 months away when they first get online? Open house visitors usually buy within 6 months. Everyone else is your guess unless they have an immediate demand (i.e. relocation, life style demands, Death, Divorce, etc……..). Now comes the best part! 34-35% of those same leads are either still looking or are about to resume. That’s where a good CRM comes into play. If yours is a robust system and you have tools for your consumer to come back to, then you will be notified and can call the lead back to convert it to a Prospect then hopefully close the sale. · 5% or 5 Sold equal 37,500 dollars GCI (Gross Closed Income). *Potential profit since you already have paid to obtain those leads!!!! Now if you have a great CRM in place, like the one you see in the image above, you can continue to add to your profit margins by recovering lost leads, by automated free e-marketing and increased agent attraction, which as we know, are the main ways to increase profits and brokerage growth! Your system will determine your effectiveness!!!! For a complimentary overview of how you can increase profitability based on your office culture, please feel free to email me at egilleo@pcmsconsulting.com or comment on this post. To review previous blogs from Terabitz click here! For an overview of some of our Web Solutions click here! ©2019 Terabitz. All Rights Reserved.